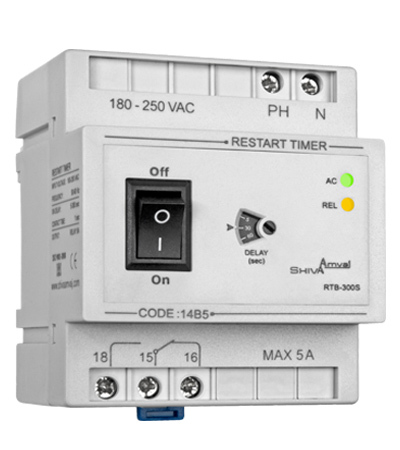 Shiva Amvaj Restart Timer is a sure protection and safety solution for electricity reconnects. 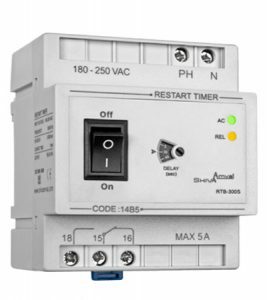 The output relay connects within 1 second from the adjusted delay time (5 sec to 5 minutes). The open relay contact is on the main contactor (distributor’s) control path which has a self-checking circuit.